Glen in particular does a good job balancing several modes: sensitive but randy shepherd with four wives, tormented brother betrayer, and thundering old-school patriarch. Ferguson is also top-notch as the woman out of time, defiantly declaring she will marry for love and owning her single-gal-in-the-city (of Thebes) sass, standing up to authority, and midwifing like it’s her business (it is! ), and business is good. That character, Jacob’s daughter Dinah, is a strong woman in an era when women were not supposed to enter the realms of men. Rebecca Ferguson plays Dinah with the right mix of frustration and determination. 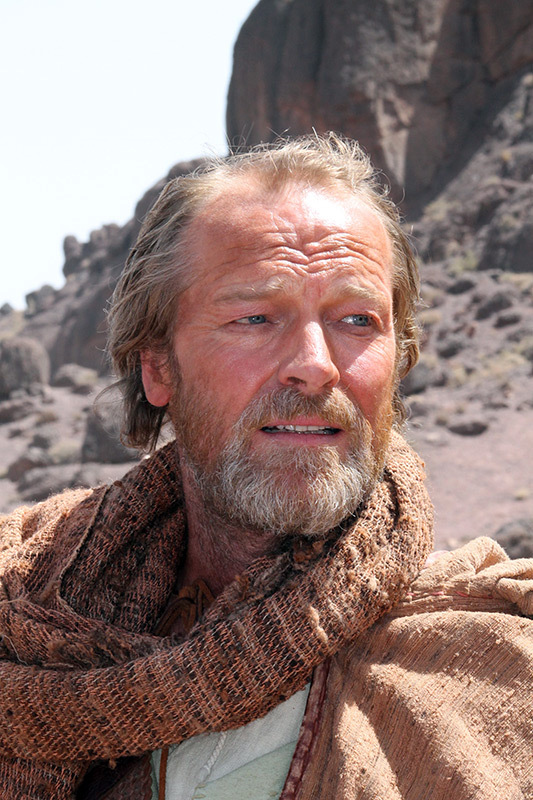 In that sense “The Red Tent” is an aggressively feminist story painted on a canvas straight out of “The Ten Commandments.” Jacob (Iain Glen) comes off as a generally good man, but also a man of his times, suspicious of what he does not understand. That suspicion turns to anger among Jacob and the other men in the family when Dinah makes a choice of which they do not approve. Their indifference to her feelings forces her to break away, and “The Red Tent” follows her into those uncharted waters, the ones Dinah tells us were ignored by the men who wrote history. 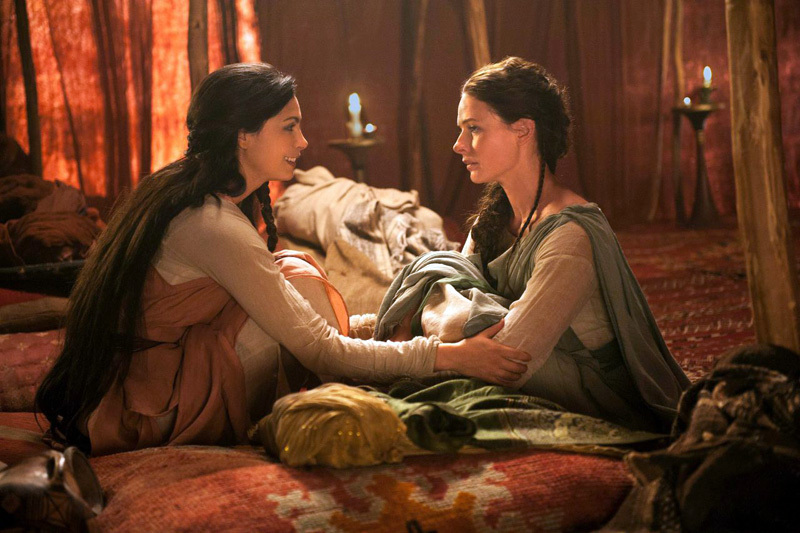 Marrying biblical heft with the particular bonds between mothers and daughters (as well as moms’ noble sacrifices), Anita Diamant’s bestseller “The Red Tent” is a perfect fit for Lifetime, conceptually speaking, and it’s been turned into a handsome melodrama, starring Rebecca who doubles as narrator of her woe-filled tale. 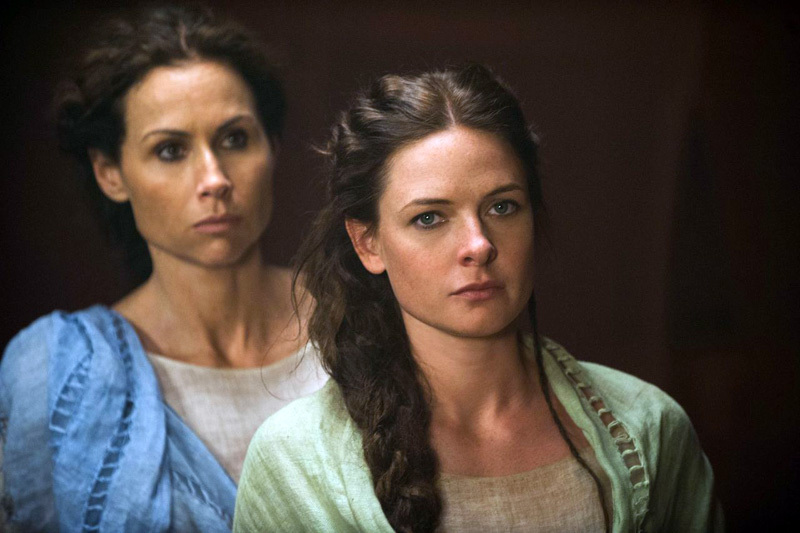 Literary in tone and shot with considerable scope in Morocco, the first half of this four-hour miniseries proves stronger than the second, but by then viewers should be firmly invested in the story, which, by moving women front and center, cleverly redresses the Bible’s male-oriented tilt. 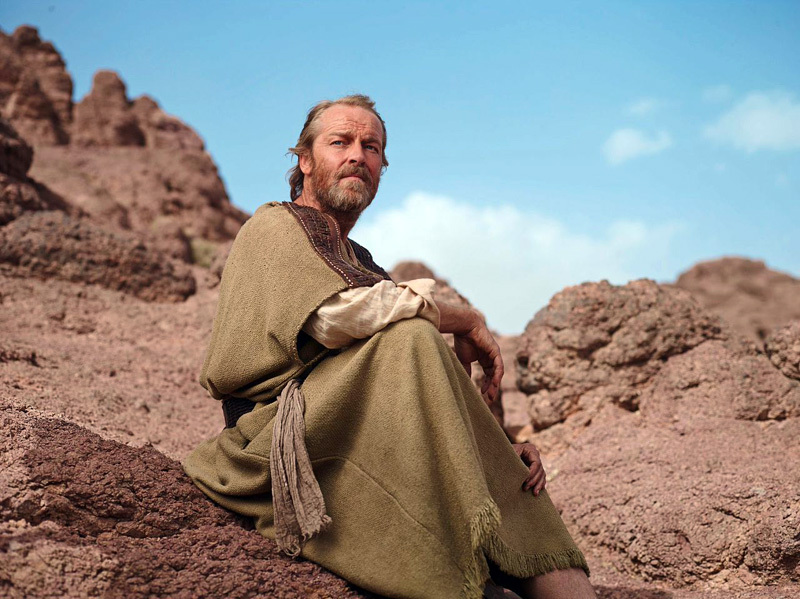 The beautiful cinematography makes tent life in a desert look appealing, and it is easy to feel a connection with the characters through the excellent acting. 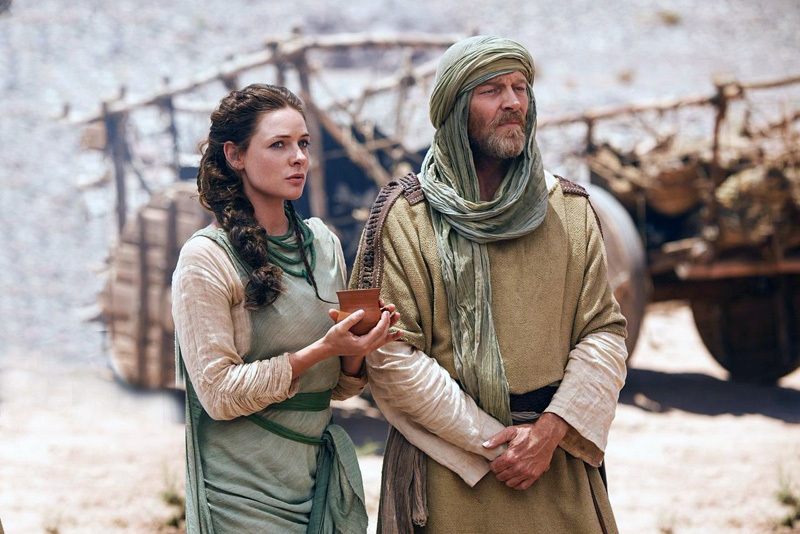 Lifetime series finds fresh wisdom from the Bible in story about women’s choices starring Rebecca Ferguson, Iain Glen and Morena Baccarin. 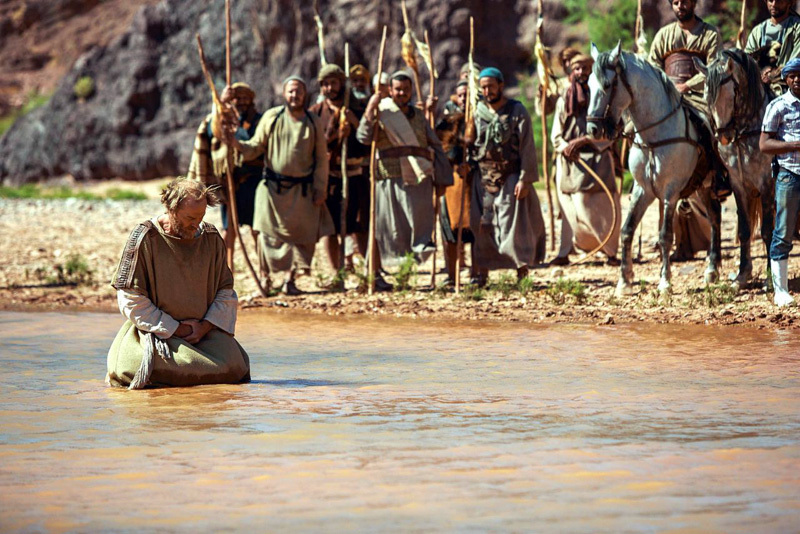 There’s nothing like a sprinkle of soap to humanize an epic built on characters from the Bible. 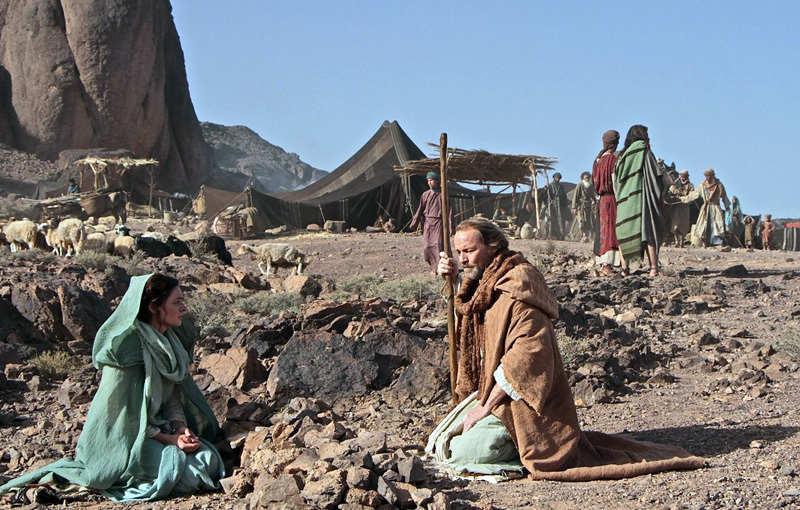 “The Red Tent” is a faithful dramatization of Anita Diamant’s 1997 book, in which Diamant took a minor character from the Bible and filled in the story the Bible didn’t tell. 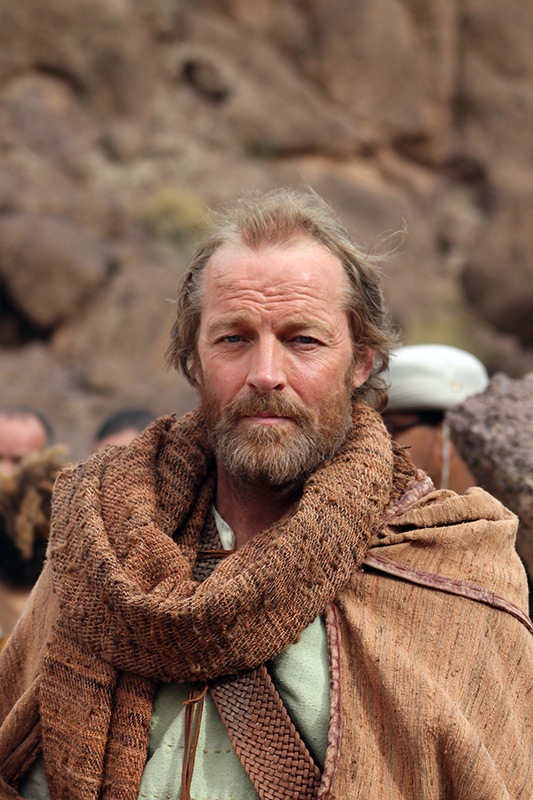 Jacob (Iain Glen) comes off as a generally good man, but also a man of his times, suspicious of what he does not understand. That suspicion turns to anger among Jacob and the other men in the family when Dinah makes a choice of which they do not approve. Their indifference to her feelings forces her to break away, and “The Red Tent” follows her into those uncharted waters, the ones Dinah tells us were ignored by the men who wrote history.